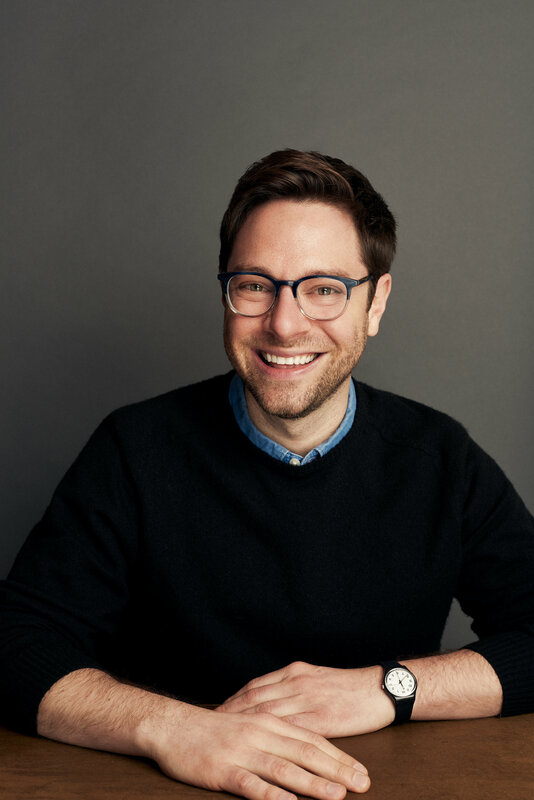 Armed with a one-way ticket to New York City, small-town theater geek Nate is off to start rehearsals for E.T. : The Broadway Musical. It’s everything he ever practiced his autograph for! But as thrilling as Broadway is, rehearsals are nothing like Nate expects: full of intimidating child stars, cut-throat understudies, and a director who can’t even remember Nate’s name. Now, as the countdown to opening night is starting to feel more like a time bomb, Nate is going to need more than his lucky rabbit’s foot if he ever wants to see his name in lights. He may even need a showbiz miracle. The companion novel to Better Nate Than Ever, which The New York Times called “inspired and inspiring,” Five, Six, Seven, Nate! is full of secret admirers, surprise reunions, and twice the drama of middle school...with a lot more glitter. In musicals, characters break into song when their emotions get to be too big. Whereas in life, of course, I break into song when my emotions get to be too big. Without getting paid for it, I mean. That’s my dad, who has apparently forgotten how exciting my future is about to become. And that people sing and dance in their (incredibly small and poorly decorated) bedrooms when they’re excited. Loudly. “Sorry, Dad!” I shout. But I do this thing where I mouth “I’m not” right before. Gets my best friend laughing, every single time. “I ought to pack for tomorrow,” I say to Libby between huffs and puffs. We have a long-standing Sunday tradition where we belt the entire score of Godspell until either the neighbors call the cops or I lose my voice. It’s our version of church. “I guess I’ll need socks? I should pack socks.” But this Sunday is different. Cue: hopping, hollering, Dad cranking up “the game” downstairs. Libby retrieves a stack of beat-up theater programs from her bookbag. “Let’s study bios.” She has a step-uncle in New York who sends her his Playbills. Can you imagine the luck? This is probably how most normal boys feel when they rip open a pack of baseball cards, suffer through that stick of “gum,” and then . . . I dunno. What do boys do with baseball cards? Fan themselves in the stadium heat? Did you know that “excited” is Latin for “actually-kind-of-nervous-but-in-the-greatest-way-possible”? I take this as a compliment. Knock knock knock, and I practically pee my pants. “Nathan.” You know when you didn’t even know you had to pee until your dad pounds on your door with the kind of strength that’s usually reserved for killing a burglar? “Your mother and you are leaving early,” he says from the hallway, and then lopes away. That’s all he has to say. Everything is implied with Dad. . . . so tell that girl to go home is implied, as is . . . and stop squealing, because boys don’t squeal. She kind of wrinkles her nose the way you might see in a cartoon sneeze, fending back unexpected tears. But this is no cartoon. And I’d know, because I’ve been chased to the edges of cliffs several times after school. “We’re almost in high school, Nate,” she says, switching tones. “We’ve got to pull it together and quit it with the cartoon business. I’ve been humoring you, but. Come on.” Brilliant move. Nothing averts sobs like insulting somebody. Which is technically true but probably won’t happen until the very last minute, once my alarm goes off. There’s too much to do tonight: get a rough draft of my bio down; brush my dog, Feather, one last time; vomit myself to sleep. While thanking the universe in between heaves. I’m about as dangerous to a girl as a tube of mascara, but maybe that’s the joke. “Your bookbag’s open,” I say. Libby never lets me go on a journey without supplying all the basics that any idiot would remember to bring. Like donuts, primarily. I laugh. “When did you get so, like, Eastern medicine?” Miss Saigon is one of my favorite shows, so I actually know quite a bit about the Far East. God, I am such an awful person. An awful friend. And selfish. I look myself over. And fat. I think Meryl Streep would kill herself if the person she were playing was dead. But I get Libby’s point. And at the mere mention of her name, we both burst into Oscar-worthy tears. And sort of fall into each other. This is it. Good-bye, Jankburg. Hello . . . everything. “Here,” I say, putting her hand on my rumbling stomach. From outside my room, my father’s feet squeak in the carpet as he turns in his thousand-year-old slippers, stomping away to take it all out on my mom. And I know exactly what to give Libby as a going-away present. “What was that for?” she says. “Well, you could at least have opened your mouth a little,” she says, holding her lips like they’re a wounded butterfly. We both hiccup at the same time. “If I’d known that was coming, I’d have skipped the last piece of pizza,” she says, letting her lips go like they might fly away. We both can’t believe I did that. Kissed someone. Finally. But Libby’s wrong. I’ve got longer than five seconds till the next chapter of my life starts—the first one worth singing about. Heck, I’ve got five hours till my alarm goes off. Maybe I’ll even sneak Feather into bed, where he’s not allowed for all the obvious mom reasons. Five hours’ sleep is five more than Libby and I got on New Year’s, and that was only a couple nights ago. Look at us now! Barely yawning. “I feel like I’m going to fall over,” Libby says, her eyes fluttering—like the butterfly forgot which body part it was playing. “Let’s sit on my bed,” I say, “and listen to our favorite song.” And never say good-bye. “And I’ll see you on Skype tomorrow night, from Queens.” Assuming my aunt has high-speed Internet. She must. She’s under forty. “You have the headphone splitter?” I say. Libby pulls out her iPod, but we’re practically asleep by the time the song even starts. And maybe it’s my murky brain fluid talking, but I get the perfect idea for a going-away gift. “Gimme your bookbag,” I murmur, and Libby does, not even opening her eyes. I drop it in—the green rabbit foot that hangs by my bed. Libby gave it to me as good luck, forever-and-a-half ago. And carrying it to the audition, that fateful New York day—with that flipping green bunny foot scratching a green bunny nail into my pale Natey thigh—look where all that luck landed me. My heart speeds up again. This is actually happening. Tomorrow night at this time I’ll be avoiding muggers in Times Square. “There’s a surprise in there for you,” I say, zipping up Libby’s bookbag. I guess we both know that the kid with the sick mom could use the rabbit foot more than the kid who’s escaping junior high torture. A light pokes through the slats of my blinds. I sit up straight. “?‘Betcher bottom dollar,’?” I say. God, I wish there were a boy role in Annie. “One?” Libby says. She’s the only thirteen-year-old who gives pop quizzes. Libby knows Jordan—the (luckiest) kid (ever) cast as Elliott in E.T.—from before, when she used to go to the fancy performing arts school with him across town. Before her mom got sick. Before Libby had to move to Jankburg, and meet me, and reroute my drifting destiny like a gust of glittery wind. “What are the odds of two boys from the same hometown getting cast in the same Broadway production?” I say, and I really wonder it. I wonder it deep into my mattress, which I feel like I’m falling into, now. “What are the odds we’ll even fall asleep tonight?” Libby says, or I think she does. We’re too busy falling asleep. One last time. Legs intertwined. Wicked on repeat. Bags not packed. Before the second adventure of my only lifetime starts—with no lucky rabbit foot in sight. 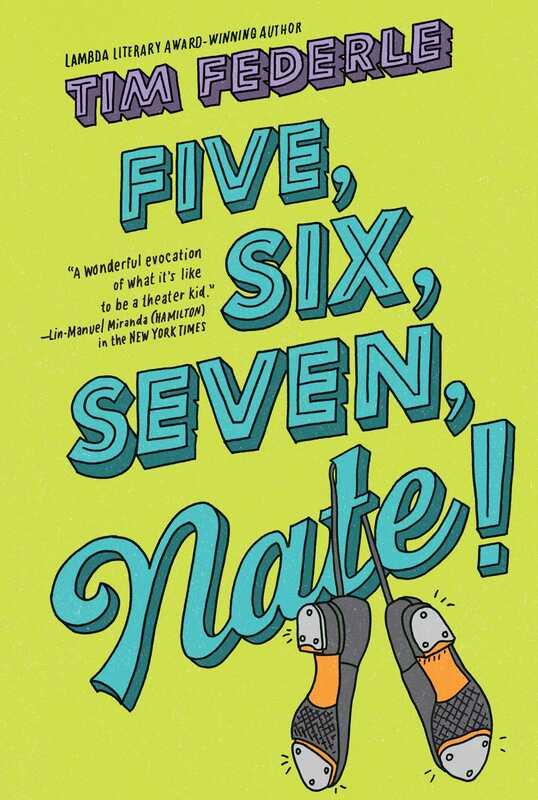 Book Cover Image (jpg): Five, Six, Seven, Nate!